This is a specialised workshop which is provided to the NHS directly for NHS staff. The course is taught by trained and experienced medical professionals. To provide a one day insight into the structure and use of terminology and the meanings of abbreviations related thereto. To assist in the building of confidence in dealing with patients, preparing letters and reports and in recording data in respect of medical phrases. Classroom based tuition led by trained and practically experienced medical professional. Understand the structure of medical words. 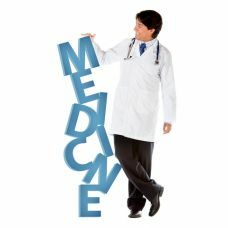 Interpret the meanings of a variety of medical terms by breaking words down into component parts, suffixes and prefixes. Be able to expand some common abbreviations. Feel more confident in communicating with patients, preparing letters and reports and in recording data. Training can be taken place at our London Training Centre or it can be booked on a bespoke basis at a venue convenient to the client. Proposed hours: 09:30 to 16:30. Efficient one day course providing immediate performance improvement in the field. Souters can deliver this Medical Terminology Course at your venue. If you require the Medical Terminology Course at your venue, please contact our office for more details. Send us an email here at info@souters.org or call our office 020 7248 8987.